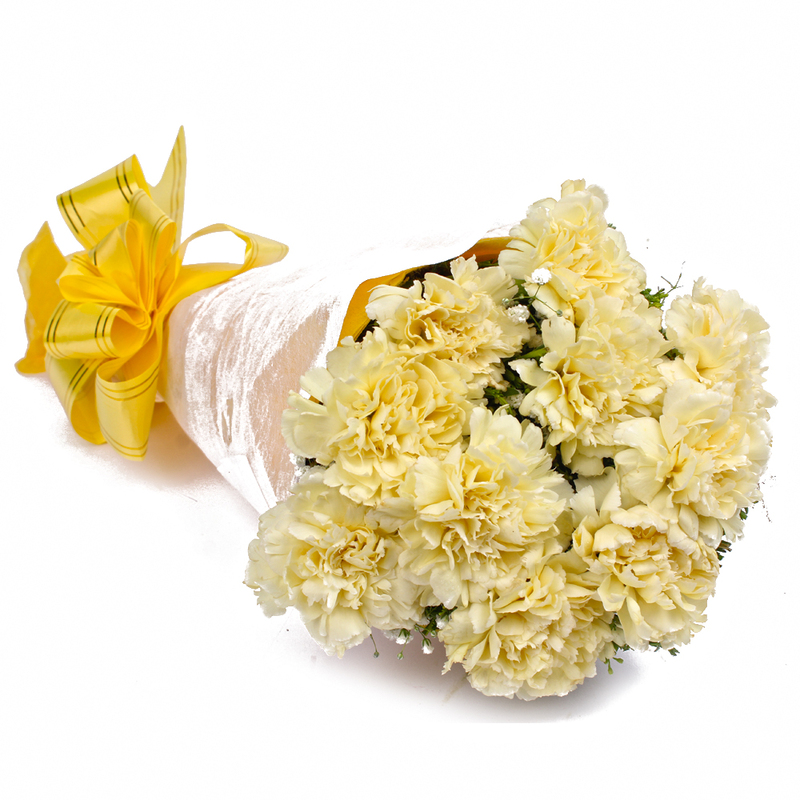 Product Consist : 10 Yellow Color Carnations with green fillers in tissue Wrapping with Ribbon Bow on it. 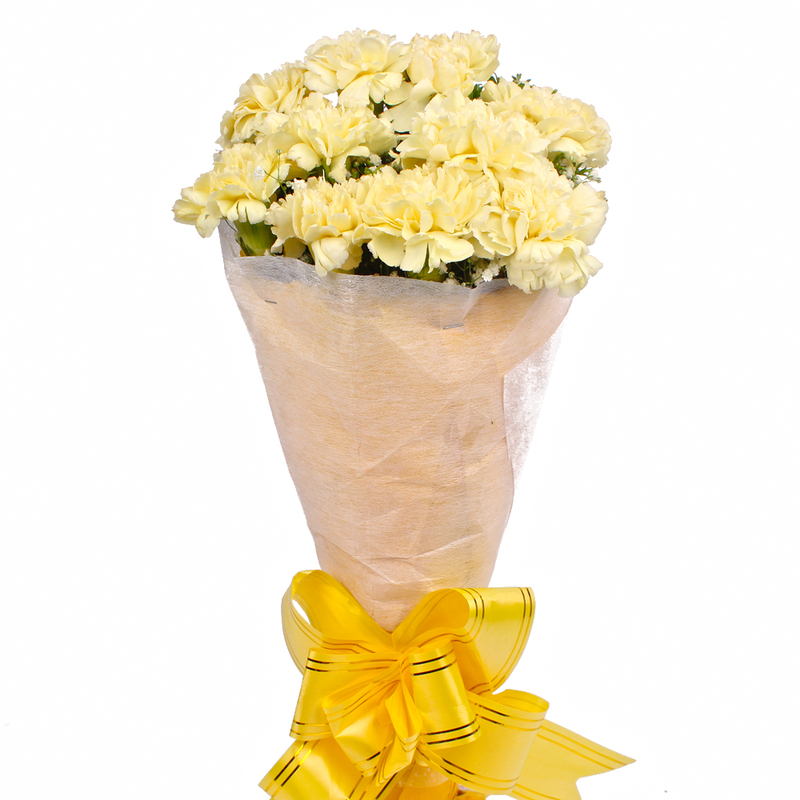 Express your love to your better half with this bouquet of carnations Comprising of ten stem, these yellow carnations look mesmerizing for their freshness and full bloom. They have been neatly arranged in cellophane paper packing to hold their arranged. 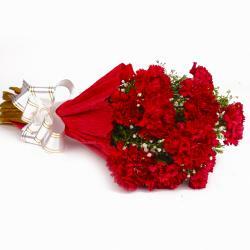 A bow has been tied in a matching ribbon around it to enhance the look of the bunch. 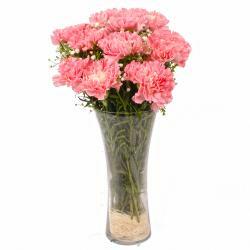 This bouquet can be gifted on Birthday, Anniversary, Get Well Soon, Lohri, Fathers Day and House Warming Parties etc. 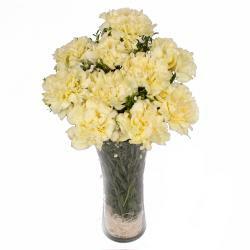 Product contains : 10 Light Yellow Color Carnations with green fillers in tissue Wrapping with Ribbon Bow on it.